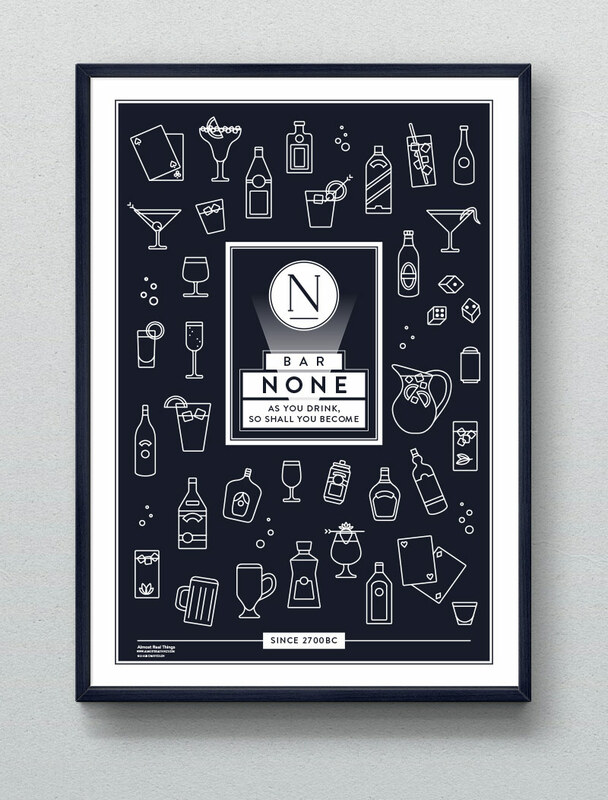 Our own Graphic Designer and DJ, Zachary Zulch, has created this unique bar poster, aptly titling it “Bar None”. An assortment of different drinks are minimalistically illustrated as line drawings (try to identify them all). For sale in our shop! Check out his online portfolio at zacharyzulch.com.